Author: Granger, Pip Set In . . . Description: Life is starting to look up in the London cafÃ© where Rosie lives with her beloved Aunt Maggie and Uncle Bert. It is 1954, rationing is over, and Roger BannisterÂ's four-minute mile is the pride of England. But the Widow Ginger couldnÂ't care less. An ex-GI with an ice-cold stare and fresh out of military prison, the Widow has come to settle some unfinished business with Bert. The WidowÂ's looking for his share of the profits from a wartime scamÂ—and a little vengeance for his years in the clink. Rosie soon learns that where thereÂ's smoke, thereÂ's fire, and it will take more than divine intervention to save the neighborhoodÂ—and RosieÂ's familyÂ—from the WidowÂ's vengence. 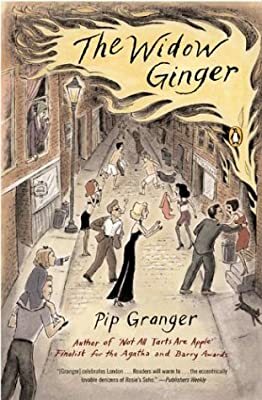 Charting the further misadventures of the characters from the acclaimed Not All Tarts Are Apple, Pip GrangerÂ's newest story of LondonÂ's underworld shows her storytelling at its best.